Aurovine - the new online music platform promising the best of both worlds for bands and fans is going live on May 11th. 'We have a plan - it's a simple plan to make artists and fans happy. We aim to do that by taking an altruistic approach and listening to what our users want in developing a lean but effective system" Aurovine's simple but astonishingly clever system enables fans to pay what they can afford for their favourite music. Because artists get to keep almost all the proceeds, they are happy to allow this interaction. The ethical nature of the system often sees fans paying in excess of the minimum. With so many online music platforms to choose from, the company's founders were asked what made them so special with heavyweight competition like Spotify to contend with. 'We have a plan - it's a simple plan to make artists and fans happy. We aim to do that by taking an altruistic approach and listening to what our users want in developing a lean but effective system". "If you have to compress files, then you may as well make them listenable" was the barbed response to the thorny issue. "With consumer bandwidth and broadband speeds increasing, the compression argument holds less water day by day. Our vision is to be make existing systems better, not to re-invent the wheel." Ambitious and committed the founders pull no punches. They want to make the industry work for fans and artists, both of whom have been on the receiving end of industry malpractice and monopoly pricing. "Creative people are sometimes uninterested or disorganised when it comes to business. This has led to exploitation in the past. We will ensure they get a fantastic deal on their unique and lovingly crafted work"
Aurovine's simple but astonishingly clever system enables fans to pay what they can afford for their favourite music. Because artists get to keep almost all the proceeds, they are happy to allow this interaction. The ethical nature of the system often sees fans paying in excess of what the band sets as a minimum. Band to Fan music startup Aurovine.com has announced an innovative launch day initiative called download store day. Bands are being asked to give away a studio track, rare demo or live song to 'liberate' them from the bootleg community. The bands can give it away free or sell it on a pay what you want basis with proceeds going to a nominated charity. 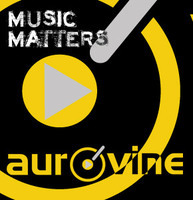 Aurovine brings the Artist/Fan relationship to the fore by allowing Fans to influence the worth of the artists music.